Hasselblad just announced that they are re-vamping the sensor tech for their 50 megapixel medium format digital back. A new CMOS sensor will replace the older CCD technology previously used. The differences are what has led to many camera maker abandoning CCD sensors over the past few years or so. Leica was the most recent company to make the switch with the release of the M last year, replacing the beloved M9. CMOS sensors perform better at high ISOs and consume less power, though some claim that CCD sensors still offer some advantages such as lack of rolling shutter distortion. 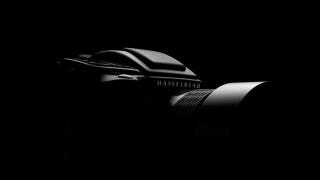 Hasselblad claims the new sensor will also allow for slower shutter speeds and higher shooting rates. The new version is set to drop in March.